When playing card games it is often important to know how many copies there are of each card to estimate the probability of drawing certain cards. 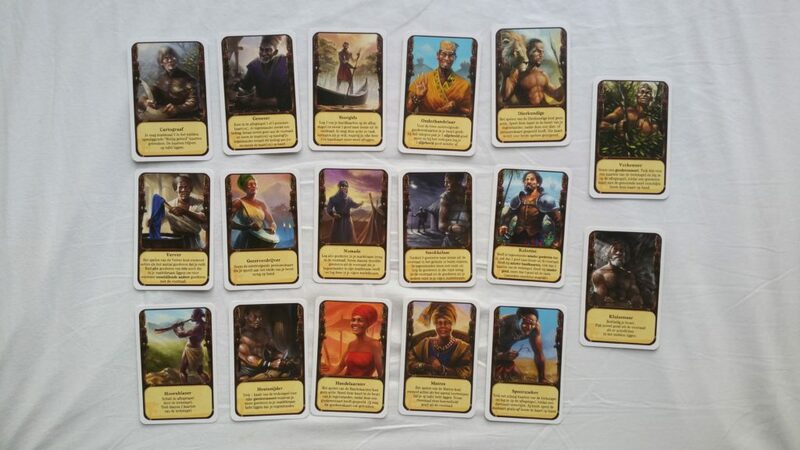 Most games therefore mention how many copies of each card the game contains in the rule book, but unfortunately Asante does not. 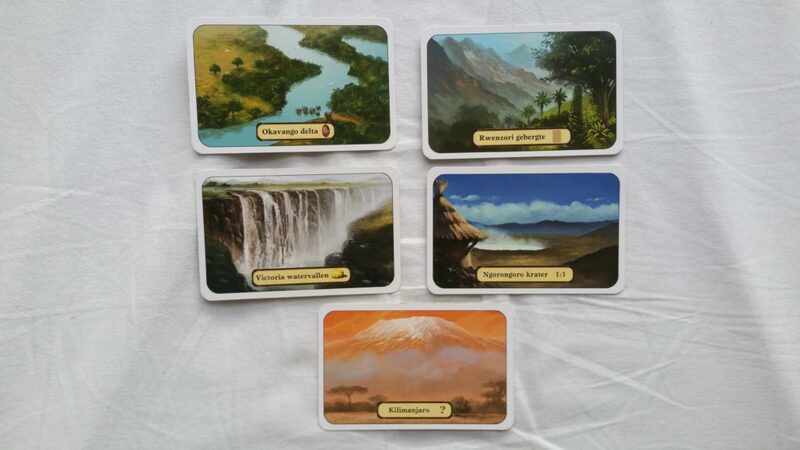 Therefore we tell you here how many copies there are of each card in Asante. There are 17 unique person cards and 34 person cards in total. Every person card has 2 copies, except Geestenverdrijver and Healer, which both have only 1 copy, and Animalist, which has 4 copies. 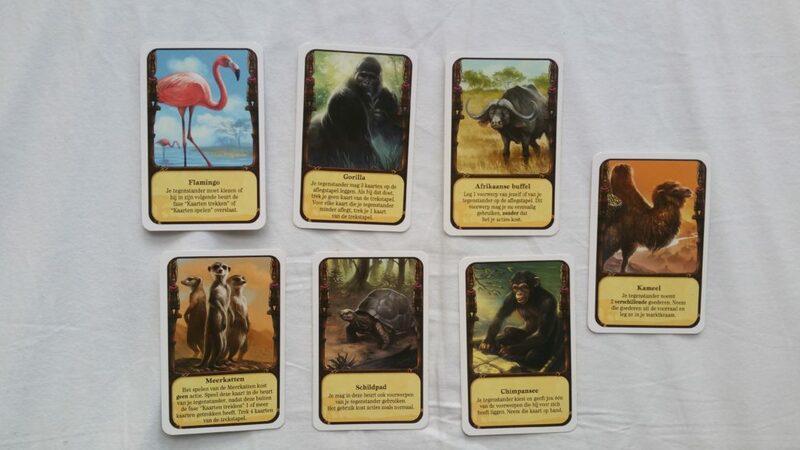 There are 7 unique animal cards and 14 animal cards in total in Asante. Every animal card has 2 copies. There are 8 unique artifact cards and 14 cards in total. Every card has 2 copies except Voodoo doll and Sacred jewelry, which both have only 1 copy. There are 35 ware cards in total. 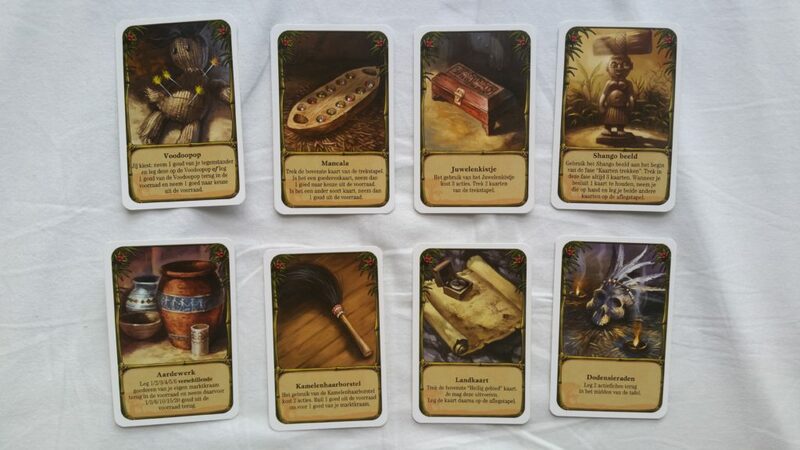 6 cards feature four identical wares; every type of ware has such a card. 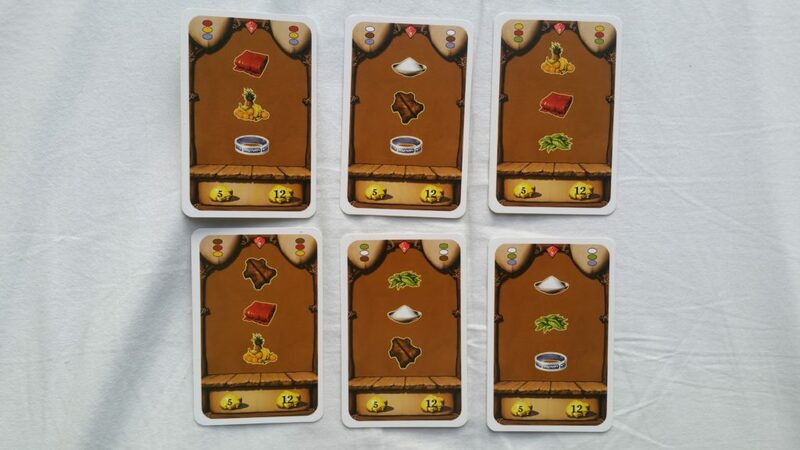 9 cards feature two identical goods; every type of ware has one such card and there are three cards featuring packages that can be used to trade any ware. 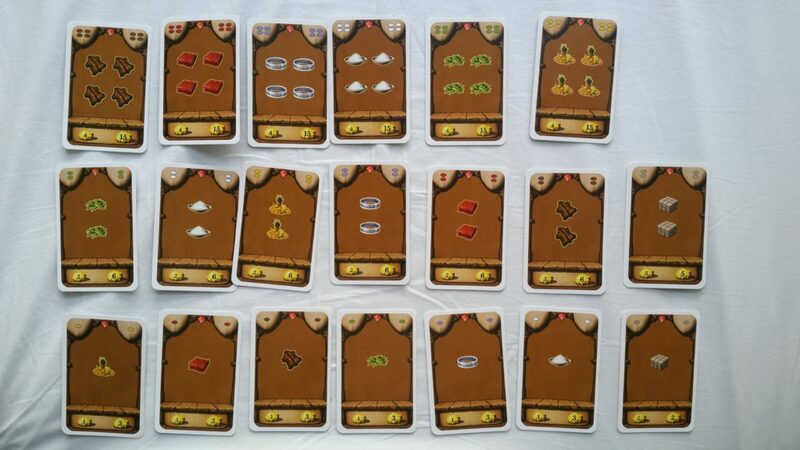 8 cards feature 1 ware; one for every type of ware and two featuring packages that can be used to trade any ware. And finally 12 cards featuring three different wares. There are 6 unique cards like these that all have 2 copies. Read here what this means for which wares you should buy in Asante. There are 5 unique holy territory cards with 3 copies each.